Heinz Vinegar Tank No. 50. waiting in Oakdale for a gigantic salad. While I was cleaning up after my Heinz car project (http://sandcrr.blogspot.com/2015/10/condiment-cars.html), I found two other cars and a couple of photos that prompted me to do another two Heinz cars. The first photo was of a large vinegar tank car. What appealed to me was the pickle cutout mounted on the side of the car. I looked through my decals and found that Art Griffin had made a decal for just that car. He said that the lettering was designed for an AHM wood tank car which I happened to have on hand. The car was easily painted and the walk on the side of the car added. The railing is from a Central Valley fence set. I made the cutout by applying the decal to a piece of .020" styrene and then cutting around the decal outline. A roof hatch was made with some tubing and a circular piece of styrene. 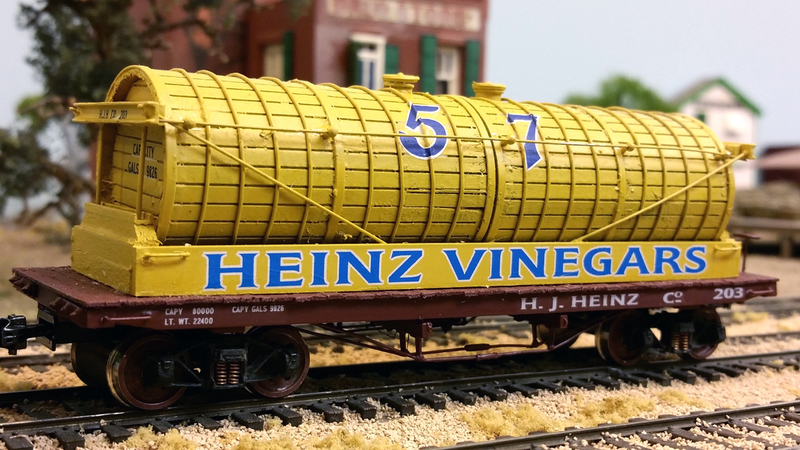 Vinegar Tank car No. 203 is a two-compartment tanker kitbashed from two kits. The second car was also modeled after an old photo. I had a Northeastern Models Richter Tank Car which I thought I could use except that it was too long and too modern looking. The prototype photo (too poor to reproduce here) looked like a tank mounted on a flat car. 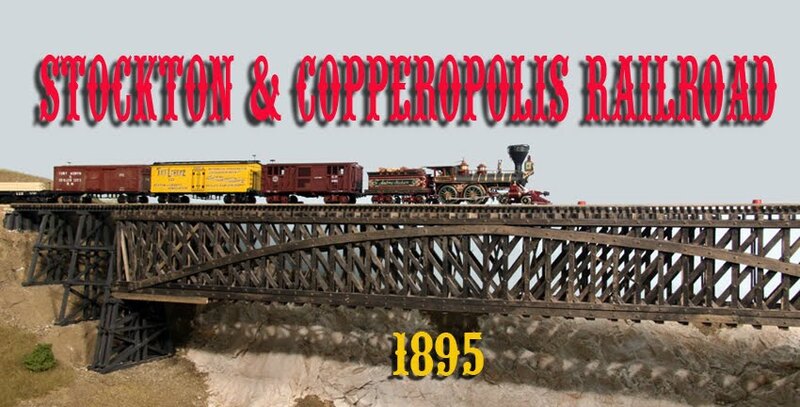 I found an old 35-ft. flat car kit in my stock and assembled it according to the instructions. The two tanks on the Northeastern kit were cut down to fit on the car. The end pieces and the letterboard were added along with the filler covers. The artwork for the decals was worked up and printed out and applied. I had to use a lot of decal softener to get the "57" to form around the tank rods. 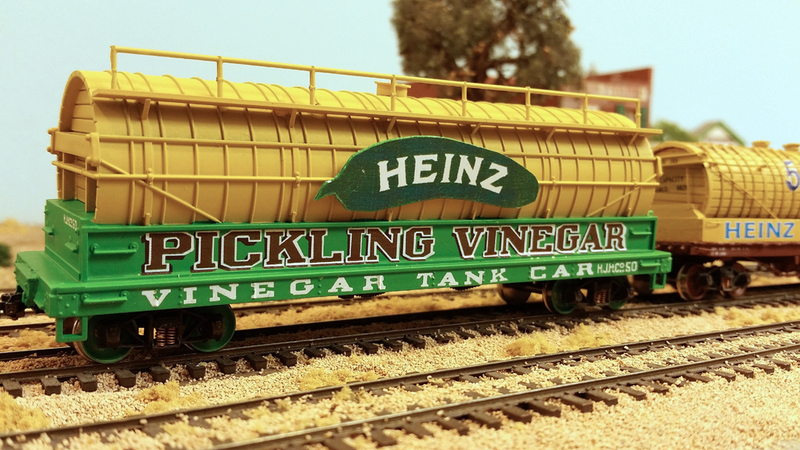 Although there are more Heinz cars to be built at some point, I think I will stop for right now. I have too many to have on the railroad at one time and my display case is getting crowded. Time for a different project.